Volunteer week provided me with the opportunity to gain a variety of different experiences. I created wooden workbenches, helped to maintain footpaths and fences, cleared invasive rhododendron, and picked up litter on the slopes of Snowdon. I spent an amazing week in the sunshine learning new skills and gaining valuable experiences alongside the Snowdonia Society’s volunteers and partners. 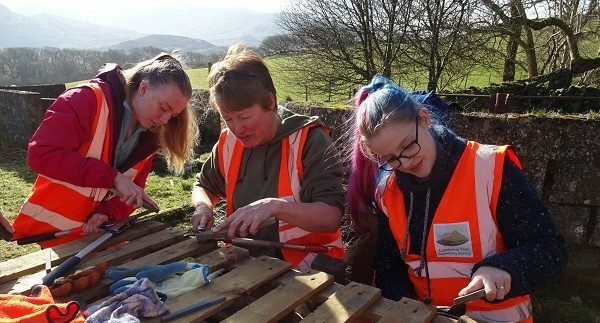 I learned so much over the course of the week, from the use of simple tools such as axes, loppers and saws to gaining a greater understanding and appreciation of all the hard work that goes in to the maintenance of the footpaths around Snowdonia. being able to help construct a whole bench from scratch in a few hours felt amazing and very satisfying, especially knowing that the benches will be used to help conservation of the beautiful Woodland Trust site of Llennyrch in the near future. being treated to a walk up Cwm Bychan to the highest point with a clear view to the Snowdon Horseshoe. observing the ringing of pied flycatcher chicks by a Wildlife Trust volunteer as part of the local conservation of this species. During the litter picking day we collected as much litter as we could find on the slopes of the lakes on the very popular Miners Track path. Hopefully these results will last but with a busy summer season ahead it’s sadly likely that more litter picking will be needed. Our work removing Rhododendron at Coed Abergwynant was an important step in the efforts to stop this species dominating the woodland to give native species a chance to thrive and hopefully supporting greater biodiversity. It feels very rewarding to know that the work we carried out had a small impact on the National Park and that we contributed towards its maintenance. It is also great to know that we will be able to visit the stones we helped place on the footpath for many decades to come! 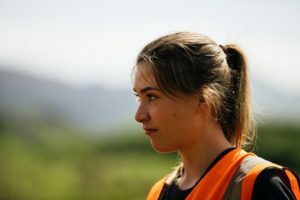 Completing the practical conservation skills unit has enabled me to gain skills vital for a career in conservation, including tool use and safety, and carrying out risk assessments for a range of tasks. This has helped me gain confidence in the use of these tools and I know this will be valuable in the future. This also compliments my Environmental Science degree course by enabling me to learn from practical experience. 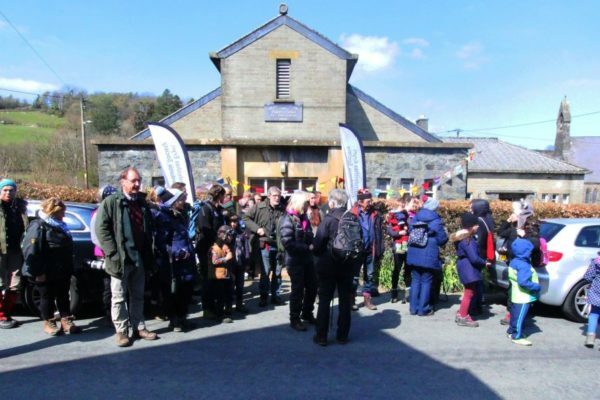 Overall it was a fantastic week and it was great to meet new people and learn about the different organisations responsible for the upkeep of such a beautiful and important area. 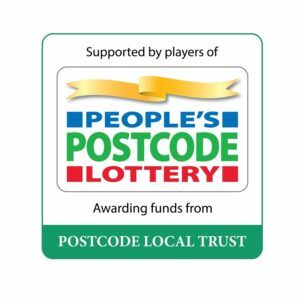 Many thanks to our funders Postcode Local Trust, a grant-giving charity funded entirely by players of People’s Postcode Lottery, Cronfa Partneriaeth Eryri, Snowdonia Giving, the Coop and the Garfield Weston Foundation for supporting our project.